Are you tired of waiting days or weeks to get your website updated? How would you like your websites updated in HOURS not days or WEEKS? Did you pick your website template out of a LIST OF TEMPLATES? Is your website STILL not bringing you new patients? Do you have time to stop what you’re doing and manage your own dental marketing? Do you want new patients? Tired of sales calls from “OTHER DENTAL MARKETING FIRMS” ? Our team is well known “internationally” as being one of the BEST at Search Engine Optimization, In fact rank high on all the search engines for our most difficult terms. And so do our clients! When you hire Absolute You get the PERSONAL and DIRECT attention from our President. In most cases you may already know him. What are you waiting for? 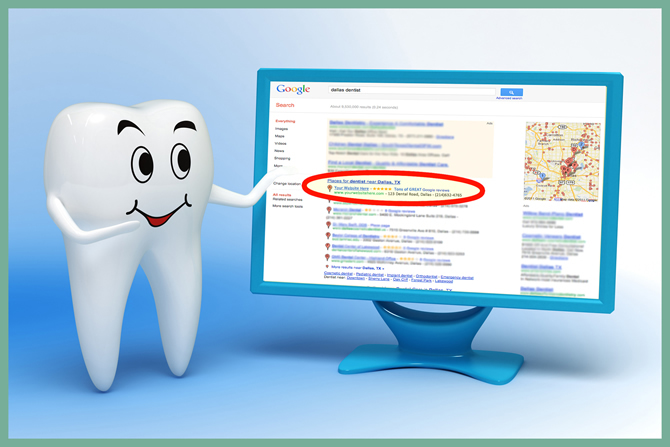 Get Absolute Placement Today for your Dental Marketing.